World Food Week in Väike-Maarja (in Lääne-Viru county) took place on 16th to 20th of November in 2015. 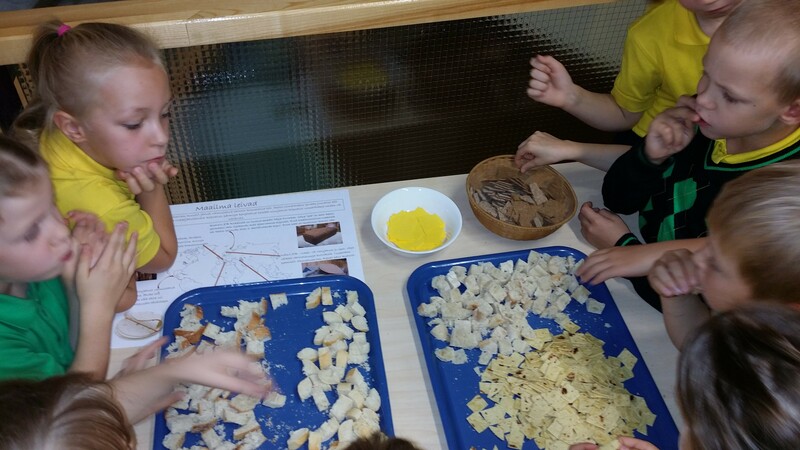 The activities stroked senses and encouraged to think about food and its origin. 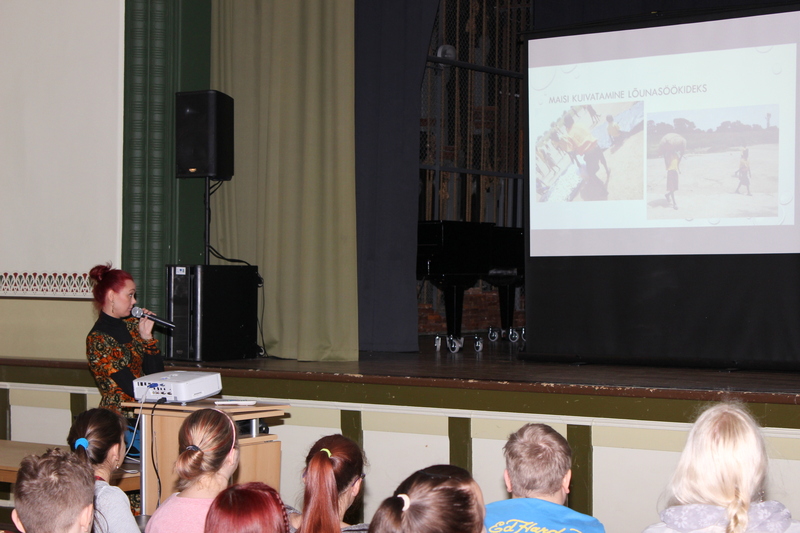 On 17th of November we had meetings, lectures and cooking classes with an inspiring guest, Mrs Liina Saaremäe, a representative of NGO Mondo. The subject of the day was “Food in Ghana and Ghanaian food”. 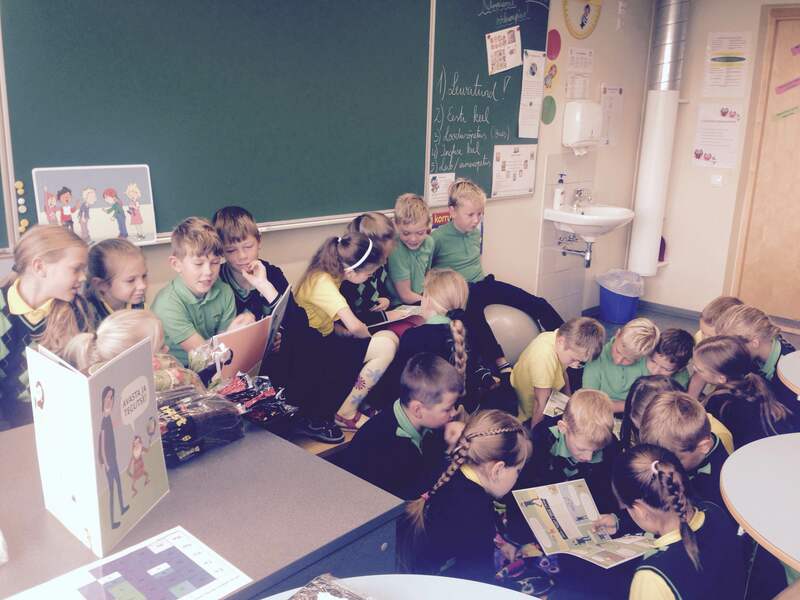 The day began with Liina’s meeting with our pupils in elementary scool (1st-4th classes). We learned that Liina is an Estonian school teacher, who was deployed by the NGO Mondo to the Republic of Ghana in West-Africa to do volunteer work. As an introduction, every child had to choose a candy: raisin in cocoa, almond in cocoa or hazelnut in cocoa. They were told about the cocoa and the fact that in Kalevi kommivabrik nearly 70% of cocoa comes from Ghana, a country which was the main topic of the day. Pupils learned about Ghanaian life, society and food. The best questioners were awarded a bookmark-rulers and teachers received different proverbs to discuss their significance in classes. The pupils were shown and given to sniff a kalebass – a bowl made of pumpkin, from which people in Ghana are eating. On the same day, we had a next meeting in Väike-Maarja with Liina and our older students from 5th-12th classes and vocational school. At first, Liina opened the meaning of volunteering. Her volunteer work in Ghana took place in 2014. As we learned, her responsibility was to develop cooperation, global education and humanitarian assistance. Her specific tasks in Ghana were teachers methodical training and food projects, plus additional lessons to teach children to read and write. With numerous images and stories she shared her moments in Ghana – so called ice cream (or frozen juice in a plastic bag), Ghanaian national dishes, custom to carry things on your head, we all learned the Ghanaian hello “toma-toma” and the Ghanaian approving rhythmic clap. It was eyes-opening and interesting to learn that food and eating is of vital importance in Ghana, and a private activity – even so private, that the dinner guest is left alone to eat in the hut. Our students were directed to think about the one billion people in the world who live below the poverty line. As in Väike-Maarja we also have a vocational school, Liina held a cooking course for vocational students and their supervisors. Together they prepared a Ghanaian dish called „red-red“ that was served with fried bananas. The participants all agreed – the result was delicious. Liina had only positive words about the active cookers, who were even ready to take a next cooking lesson by the end of the class. 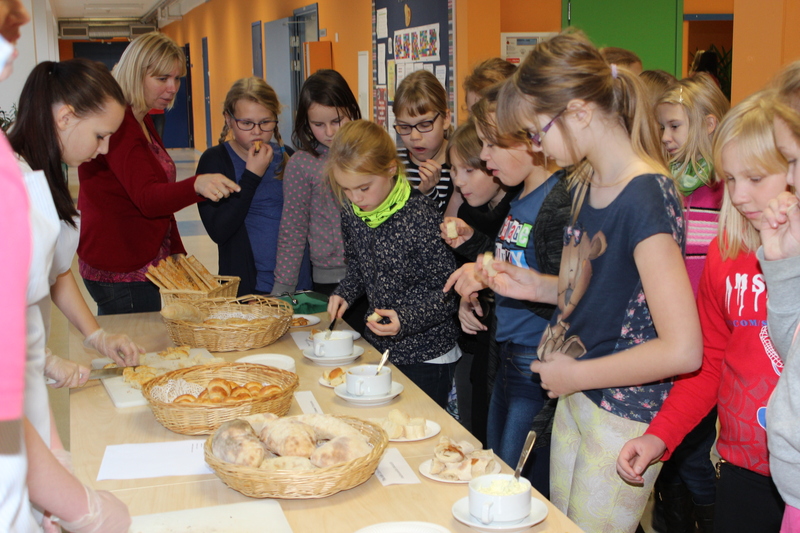 During the week our pupils had a possibility to taste various countries breads, participate in photo competition of world food and recipes. Food provided by the school canteen was also by the week theme, from different regions of the world – Ukrainian, Italian, Chinese, the Mediterranean, Estonian. 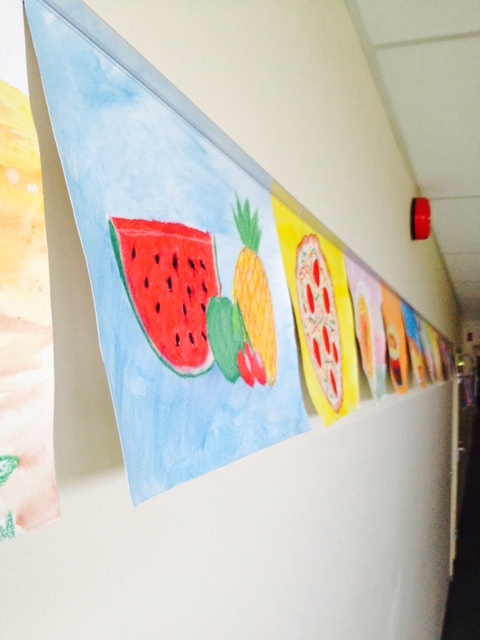 Primary school added a playful nuance – a guessing game about the region of the food for the children. Different nationalities from the Vao refugee center nearby came to school to introduce, share recipes and offer their snacks – Ukrainian pancakes with cottage cheese, biscuits from Afghanistan and Dagestan. 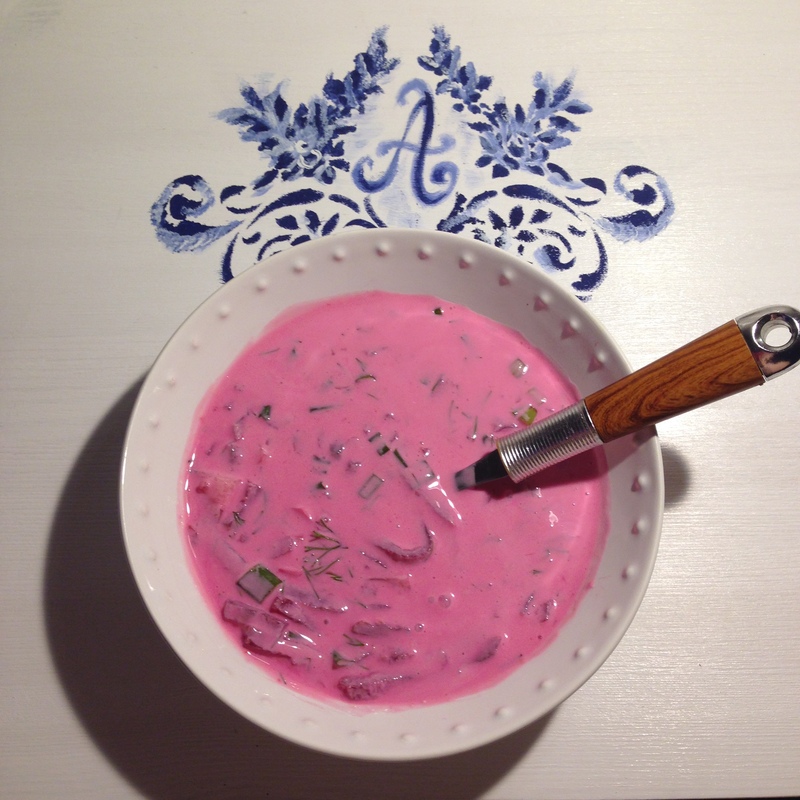 There’s no doubt, World Food Week brought new tastes and ideas to Väike-Maarja. We are grateful to all the people, who contributed to the success of the World Food Week, especially to you, dear Liina, and NGO Mondo! Teachers! Creative learning method for students! African people have always had festivals at the time of harvest. In Africa the festival is of a religious nature and has lots of dancing and music. Dancers wear costumes and each dance tells a story. The stories range from a good ghost who looks after their crops and scares away the bad ghosts who try to spoil the food. It is important to celebrate the harvest. The students from Zanlerigu Junior High School performed a dramatic play about millet. This is a creative learning method using African students’ dramatic play about millet. Using your fantasy, imagination and the words given below, think up a story for that video. Teacher/classmates choose 1-3 most interesting and unconventional stories for telling others. Tell your story while watching the video once again. Pay attention to the time and movements! The story must be interesting and complete (with proper introduction and ending aswell) and fit in to that video. Try to be as much as creative as you can! Remember that the dance needs a specific story too! Answer the questions: What they are talking about? What’s the situation? Why are they singing, dancing? What’s the point of this story/performance? Wish you a lot of fantasy and useful minutes with this video!